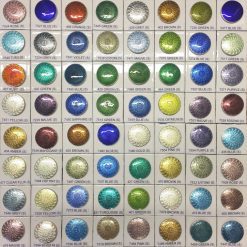 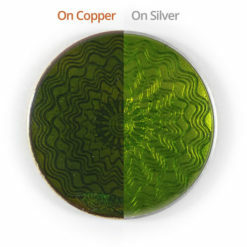 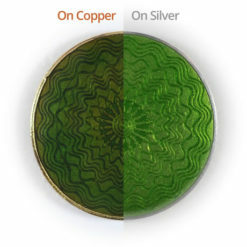 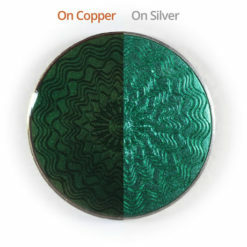 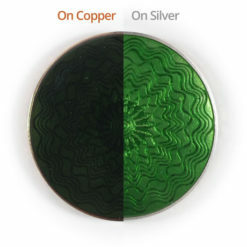 Our range of transparent Jewellery enamels are designed for use on tombac (gilding metal), copper, gold and silver. 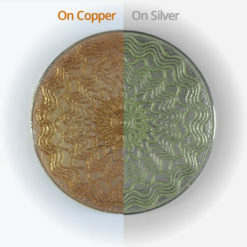 The guilloche pattern is a reproduction of a type of metal engraving that was popular at the turn of the 20th Century. 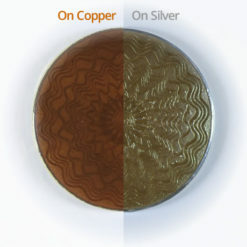 - The actual size of the blanks is 30mm - The border is 1.3mm - The depth of cut is 0.3mm - The grade of silver is 950 - The copper blanks are a standard grade of copper. The samples were prepared by wet packing, firing time 2 minutes at a temperature of 800° centigrade. 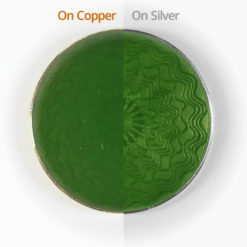 The enamels are supplied in powder form, ground to pass a 60s mesh (250 micron) sieve. 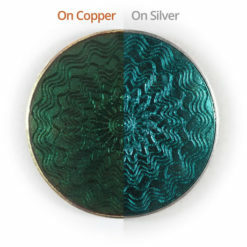 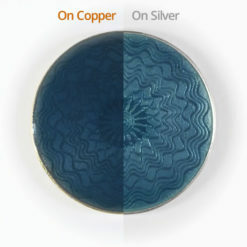 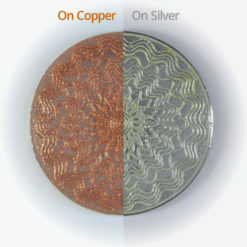 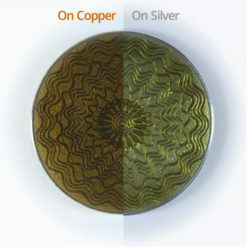 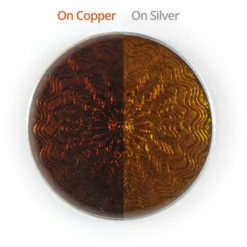 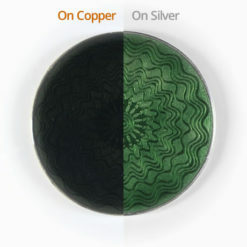 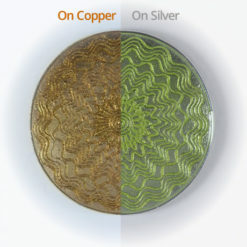 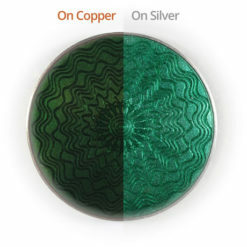 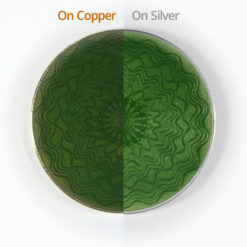 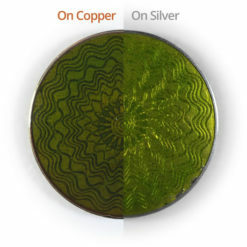 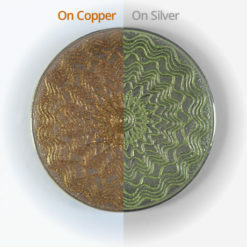 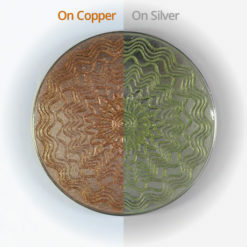 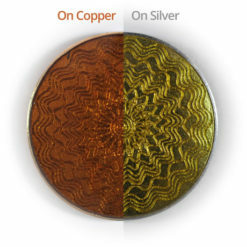 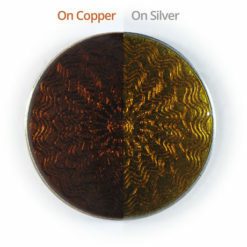 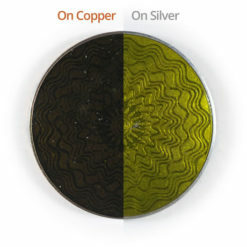 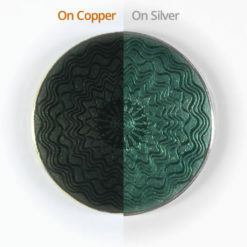 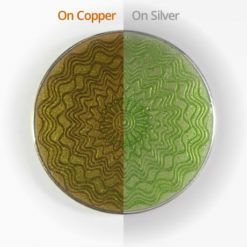 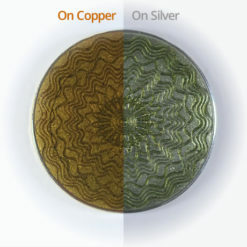 Colour descriptions are based on the fired trials on silver.